The Proton Iriz, which is known as the Proton Global Small Car (GSC) and the Proton Compact Car (PCC) by its internal codename is a five-door superminiin development by Malaysian automobile manufacturer, Proton. It is launched on 25 September 2014 at Proton plant in Tanjung Malim, Perak by former PM Dr.Mahathir Mohamad who is also Proton's current chairman and founding father as the spiritual successor to the Proton Savvy. The Iriz is powered by an all-new range of 1.3 and 1.6 VVT Proton engines and is designed with a larger emphasis on global markets and met Euro 4 emission. Plans for a Proton Savvy replacement were first revealed with the introduction of the Proton EMAS hybrid city cars at the 2010 Geneva Motor Show. The EMAS concept cars were designed by Italdesign Giugiaro and are related to the Lotus Ethos, a similar concept car from Proton's British subsidiary. Proton and Lotus wished to jointly develop the global small car, where the Proton versions will be aimed at the budget conscious and the Lotus models on the equally alluring hot hatch market. However, since the announcement, Proton has undergone a change in ownership and further details on the joint venture have not been publicized. Proton also considered a tie-up with Mitsubishi Motors in 2011 regarding the development of Proton's upcoming small car. The first spy shot of a testing mule unit was uploaded online in March 2013. It revealed a heavily masked and widened Proton Savvy. The same testing unit was caught once more in June 2013 on the Kesas Highway. The three Proton EMAS concepts. The first official Iriz details from Proton came in the form of a naming contest called Nama Siapa Hebat? (English: Whose Name Is Greatest ?). The contest invited all citizens of Malaysia to help name the upcoming car, in which the name had to be in Malay and consist of no more than six letters. The contest ran for one month, between 25 June and 25 July 2013 respectively, and the grand prize winner will receive a Premium variant of the car upon its launch in 2014. Proton had begun processing the entrants by August 2013, and the company has taken the necessary precautions to avoid trademark conflicts and language ambiguity in global markets. On 26 November 2013, the very first spy shots of a heavily masked production-ready Iriz went viral. The car was reportedly undergoing testing for its Electronic Stability Control (ESC) unit in an automotive testing facility in Europe. The spy shots also confirmed that the car is indeed a 5-door hatchback, unlike the 3-door Proton EMAS concept. On 10 December 2013, two heavily masked Iriz testing units were sighted on a highway in Malaysia. Both cars were escorted by an undisguised Honda Brio, a car which is not sold in the Malaysian market. Several more Iriz testing units were since spotted at various locations across Peninsular Malaysia in December, all of which were heavily masked. On New Year's Day, clearer spy shots revealed a more aggressively-styled grille and built-in LED Daytime Running Lights (DRL). On 8 January 2014, a P2-30A testing unit with partially exposed tail lights was spotted in Belgium. The following week, another prototype was caught on a trailer set for cold climate testing in a snowy part of Europe. The same unit was spotted again on 29 January in northern Sweden, close to the Arctic Circle. It was reportedly being tested with a Continental ESC unit. On 4 February, an Iriz testing unit with a rear spoiler was spotted in Malaysia. The clearest spy shots of the Iriz interior were snapped on 10 February 2014. The photos confirmed that the P2-30A comes equipped with Electronic Stability Control (ESC) and a Continuously Variable Transmission (CVT). A large 2-DIN touchscreen infotainment system is also pictured, along with the controls for the air-conditioning which include a heating system, front parking sensors and leather seats. Three days later, additional spy shots of a separate Iriz test unit revealed a different, non-touchscreen infotainment system. On 7 March, a spy video of the car undergoing cold climate testing was uploaded online. On 23 May 2014, a large convoy of Proton Iriz alongside several other non-Proton cars were spotted in Kota Bharu, Malaysia. The spyshots alluded that the Proton GSC is being benchmarked against the Perodua Myvi, Honda Brio, Ford Fiesta and Volkswagen Polo TSI hatchbacks. 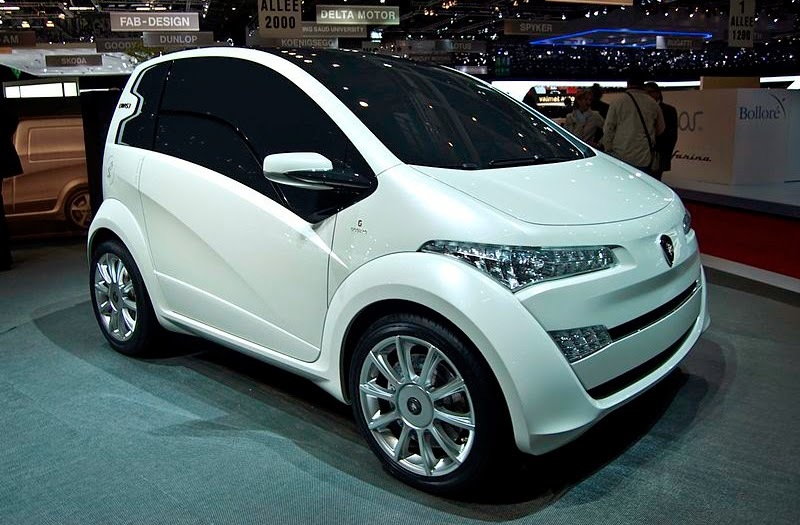 The photos also revealed a subtle bodykit on one of the P2-30A units. The same convoy was spotted three days later in Cameron Highlands, adding further credibility to initial speculations that the Proton GSC is indeed being benchmarked against the aforementioned models. On 16 June 2014, two high-quality photos of a fully exposed, near production-ready Proton Iriz were leaked online. The photos, the most revealing thus far were reportedly taken during the P2-30A's crash test assessment at a Malaysian Institute of Road Safety (MIROS) facility. The leak confirmed many of the exterior features and equipment initially speculated from the various spyshots of camouflaged Iriz units. The Malaysian online community's response to the undisguised Iriz has been largely positive. However, Proton has expressed disappointment over the leak, claiming that it has now exposed their upcoming unique selling propositions (USP) for the new model, leaving them vulnerable to counter-attacks from rival manufacturers. The very next day following the leak, Perodua announced large price reductions of between RM3,000 to RM5,300 across their Perodua Viva range. On 25 June 2014, a convoy of masked Proton Iriz units were photographed on a busy street in Bukit Bintang, Kuala Lumpur. One of the two photos clearly show that the Proton Iriz is as large or larger than the first-generation Perodua Myvi. On the 4th of July, a spyshot of a masked Iriz testing unit in the ‘Atlantic Blue’ paint colour option from the Proton Suprima S was uploaded online. The same unit was seen again on 21 July near KLIA. 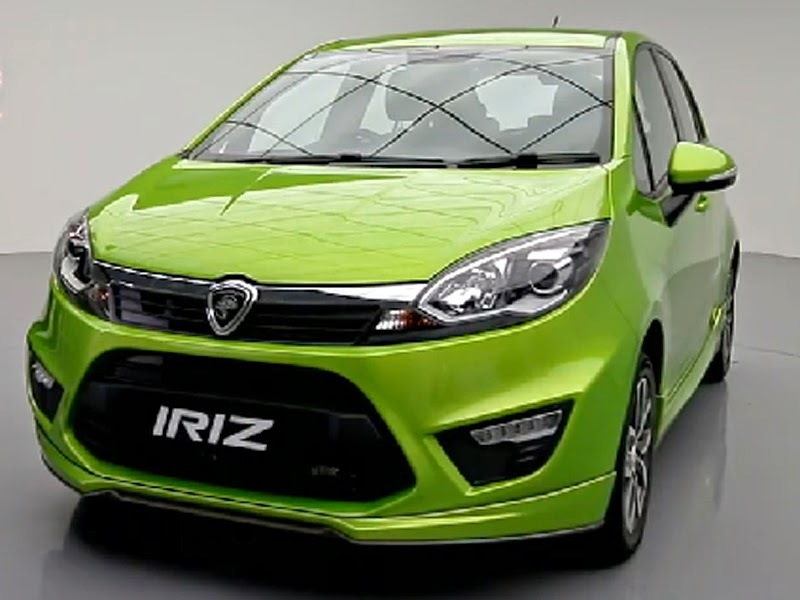 The first official teaser of the Iriz was included as part of Proton's 2014 Hari Raya television advertisement which was first aired on 23 July 2014. A single image of the Iriz's front headlamp housing was shown at the end of the video, with the caption Nantikan Kemunculannya (English: Wait For Its Appearance). The photo confirms that the Iriz will be offered with projector headlamps in a chromed housing. The word ‘PROTON’ is also finely embossed in the headlamp housing. 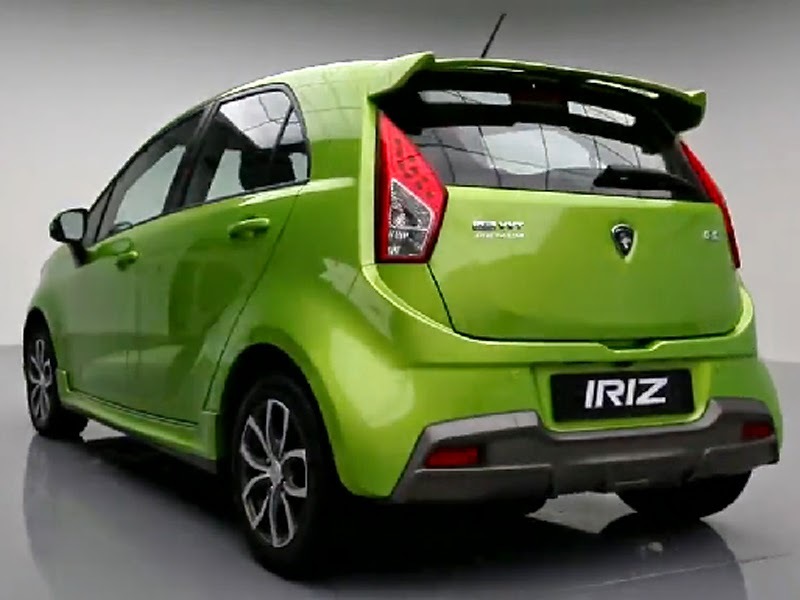 On 11 August 2014, a summarised specifications sheet for the Proton Iriz was leaked online. On 22 August 2014, Proton Chief Technical Officer (CTO) Abdul Rashid Musa held a media briefing on the upcoming P2-30A. The briefing detailed that two new engines will be offered, a 1.3 litre and a 1.6 litre, both of which incorporate variable valve timing (VVT) technology for more power and improved fuel-efficiency. The new Proton will be able to travel from Bukit Kayu Hitam in the very north of the Malay Peninsula to Johor Bahru in the very south, a journey of around 800 kilometres (500 miles) in just a single tank of petrol. It is however worth noting that Proton's older CamPro CPS and more recent CamPro CFE also offer VVT technology. The new 1.3 and 1.6 engines will also offer reduced emissions, in line with Proton's intentions to sell the P2-30A in markets which impose taxes based on emissions such as the European Union. The car will also be offered with an electric power steering (EPS) system for ease of steering and improved fuel-efficiency, along with a choice of either manual or automatic transmission. Proton claims that the new engines will be 10% more fuel-efficient in comparison to the older CamPro engines. Additionally, Azlan Othman, Proton's Head of Styling mentioned that the new GSC will maintain Proton's design philosophy of ‘timeless beauty’. In his words, “We don’t need to be trendy, and then forgotten. We need to be timeless, to have designs that last.” In terms of safety, the Proton GSC will launch as the safest Proton car yet, safer even than the bigger and more expensive Prevé and Suprima S. It will be equipped with no less than 10 computerised electronic systems, 6 airbags and Proton's Reinforced Safety Structure (RESS) with Hot Press Forming (HPF) technology. The P2-30A will be offered in at least 3 variants, namely ‘Standard’, ‘Executive’ and ‘Premium’, in a range of seven different colours. Proton also iterated that the GSC is not a direct successor or replacement to the Savvy as initially believed by the media, but is instead a separate new segment for Proton. The GSC will be a larger B-segment 5-door hatchback, unlike the much smaller A-segment Savvy. 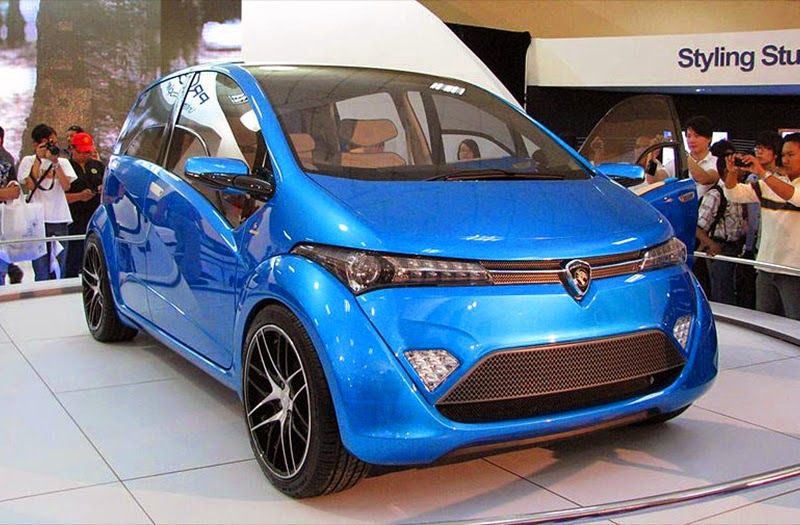 On 23 August 2014, a photo of a near production-ready Proton Iriz was leaked online. Apart from the masked badge and partially covered headlamps, the car is completely undisguised, and sports a new bright green paint colour. A second silver coloured Proton Iriz is also partially visible in the background, identical to the green unit but without the Daytime Running Light (DRL) housing. 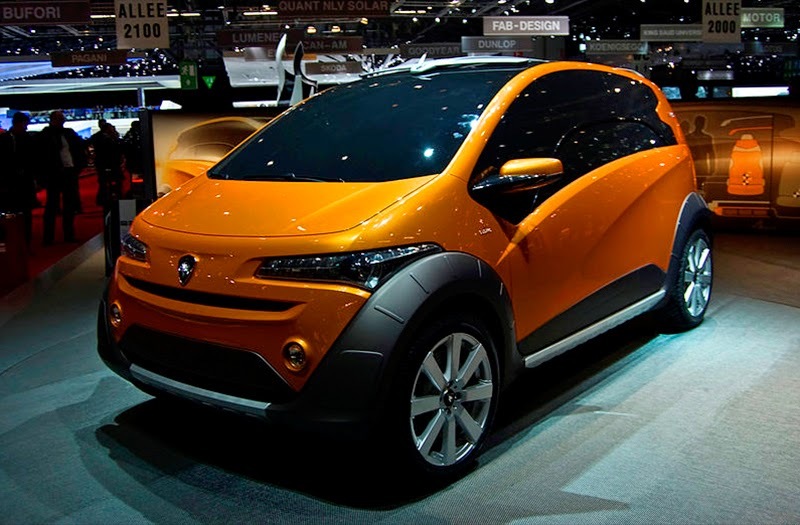 The Proton Iriz, which is a larger B-segment hatchback will not compete with the Perodua Axia, a similar but smaller A-segment car, which is also scheduled for launch in the second half of 2014. The Proton Iriz will compete directly with the Perodua Myvi instead. The Myvi has been the best-selling car in Malaysia for 8 consecutive years, between 2006 and 2013 respectively. Furthermore, the Proton GSC will not compete with Indonesia's Low Cost Green Cars (LCGC), which include the Toyota Agya, Daihatsu Ayla, Honda Brio Satya and Datsun Go among others. The Proton GSC will instead compete with the more mainstream B-segment hatchbacks such as the Toyota Yaris, Mitsubishi Mirage, Kia Rio, Honda Jazz and Hyundai i20 in its export markets, but it will nonetheless be priced significantly cheaper than its Japanese and South Korean rivals. The Proton Iriz Car was originally scheduled for an April, May or June 2014 launch in Malaysia. However, the launch has since been delayed to 25 September. since it has to go a 100,000 km drive cycle on road testing. The Iriz will be the first all-new model to be developed under Proton's new owner, DRB-HICOM. Dr. Mahathir Mohamad, recently appointed chairman of Proton has stated that in a bid to move upmarket, the upcoming P2-30A will cost more than expected, but nonetheless still cheaper than its rivals from the same segment. The P2-30A will incorporate better quality components and a long list of standard features never before seen in a small Proton, more even than its bigger siblings, the 2012 Prevé and 2013 Suprima S. Dr. Mahathir has also promised to tackle the issue of quality control among Proton's vendors, with the aim of incorporating the highest quality components from only the best vendors in an effort to improve public confidence in Proton's below-average build quality standards. The Proton Iriz took 4 years to develop at a cost of between RM560 million. The company has also promised a 5-Star ANCAP safety rating for the P2-30A. The last surprise before the official launched was Dr. Mahathir himself driving for breakfast in green full spec Iriz on 14 September 2014. He arrived at his The Loaf at Pavilion on that Sunday morning in undisguised Iriz. In terms of dimensions, the Iriz measures 3,905mm in length versus the Myvi’s 3,690mm; it is also wider at 1,720mm (Myvi: 1,665mm), and is 5mm higher than the Myvi (1,550 for Iriz versus 1,545 for Myvi). The Iriz has a longer wheelbase of 2,555mm versus the Myvi at 2,440mm. The 1.3 litre Iriz is rated at 70 kW (95 PS) at 5,750 rpm, and 120 Nm of torque at 4,000 rpm, while the Myvi 1.3 litre equivalent has lower power (67 kW at 6,000 rpm and 117Nm torque at 4,400 rpm). Proton uses a 1.6 litre engine pulling 109PS at 5,750 rpm and 150 Nm of torque, which is also higher than the Myvi 1.5 litre engine which pulls 104PS at 6,000 rpm and 136 Nm of torque at 4,000 rpm. On paper, at least, the Proton wins hands down. All Iriz variants get VDC (Vehicle Dynamic Control) consist of ESC, TCS, ABS+EBD, BA and Hill Assist.Vehicle Dynamic Control is a series of active safety features that automatically activate to prevent accidents. It monitors all steering and braking actions throughout the journey. It reduces engine speed and brake pressure whenever it senses any oversteer or understeer to ensure that make sure always remain in control. The critical sections of the body structure is five times stronger than normal galvanized steel to protect all passengers is what RESS is about. The Proton Iriz’s body structure uses Hot Press Forming (HPF), a German technology that Proton owns, being only the 6th country in the world to have this technology. In the event of an accident, Proton IRIZ will automatically unlock all doors for emergency exit. Whiplash injury is a common occurrence when a car is hit from the rear. The Head Restraint reduces the risk of whiplash by preventing the head from tilting backwards too much and injuring the neck. All 5 seats come with 3-point seat belts for better protection. In addition, ISOFIX anchors are included in anticipation of entry into the global market.